Home » Archiv » English » Privacy Law » Does EU law on data retention breach fundamental rights? Under the European Union’s data retention directive connection data of all Europeans can be saved for up to two years. A case before the European Court of Justice seeks to challenge the legality this directive on the grounds that it breaches the EU’s Charter on Fundamental Rights and the European Convention on Human Rights. The EU’s data retention directive has been in force since 2006. It obliges service providers and telecommunications companies to store connection data from emails, texts and telephone conversations for between 6 months and two years. These data can then later be used to fight crime. On 9 July 2013 proceedings started in the European Court of Justice on the legality of the European Union’s data retention directive. The claimants include civil rights campaigners from Ireland and Austria. They believe that the obligation on service providers and telecommunications companies to store connection data in the absence of grounds for suspicion violates the rights contained in the EU’s charter on fundamental rights and the European Convention on Human Rights. They accuse the European Commission of insufficiently assessing the impact of the data retention legislation. The claimants ask whether the directive is compatible with: citizens’ rights to move and reside freely within the EU (Article 21 TFEU); the right to privacy (Article 7 of the EU Charter and Article 8 ECHR); right to the protection of personal data (Article 8 of the EU Charter); the right to freedom of expression (Article 11 of the EU Charter and Article 10 ECHR); and the right to Good Administration (Article 41 of the Charter). The period of retention data is also criticised. The ECJ judges have required information from the European Commission as to whether personal profiles can be created from the data which is retained and whether the measures laid down in the directive justify the intrusion in citizens’ fundamental rights. The ECJ also demanded to know whether interference with human rights is “restricted to the absolute minimum”. Those who observed the proceedings found the judges to be well prepared. The European Commission and member states, on the other hand, could only manage to give vague answers to the questions asked. Germany’s Federal Constitutional Court has already declared that transposition of the EU’s data retention directive would violate the constitution. 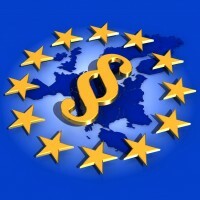 The coalition government has not yet reached agreement on the best way to implement the directive. In particular, the Free Democratic Party rejects the idea of retaining data for long periods of time. The Christian Democrats (CDU and CSU), on the other hand, assert that sufficient tools must be available in order to fight terrorist and criminal activity and therefore support the unfounded retention of data. EU home affairs commissioner plans to introduce new legislation ensuring that retained data is only used in order to fight terrorism and serious crime. However, introduction of the measures has been delayed, to allow for the draft data protection directive to be passed first. The ECJ’s judgment is expected in several months’ time. Depending on its outcome, the judgment could mean that the data retention directive must be drastically modified.